In the aftermath of the attempted assassination attempt on Congresswoman Giffords, Glenn Beck put out a pledge of nonviolence. In light of the violent tone of his past rhetoric, the one person in greatest need of a pledge of nonviolence is Glenn Beck. Of course, Beck has been using violent rhetoric all the while asking his followers to sign a pledge of nonviolence. The following are example of Beck's violent rhetoric starting is live audio ending with Beck recommending his viewers "shoot them in the head" referring to those in Washington who "believe in revolution" just last June. When questioned about that last point and wanting to beat Congressman Charlie Rangel to death with a shovel by Meredith Vieira on The Today Show, Beck claimed that a lot of what he says is "comedy" and he would not renounce "any that [he] said in jokes." He wanted Vieira to "ask Jon Stewart, ask The Simpsons." How is telling an interviewer to ask cartoon characters responsible or even pretentiously smart? Beck will not take responsibility for his violent language of the past by claiming that he was joking. Obviously Byron Williams did not get Beck's "joke." Williams is the "progressive hunter," who followed Beck, and went on a shooting rampage that was thwarted by his drunken driving. Beck won't consider, it seems, that his violent language is just not funny, not only to the left, but to some of his devoted followers preparing to kill those, like Frances Fox Piven, that Beck targets. We can only hope and pray that Beck takes his pledge of nonviolence more seriously than he has in the past. Perhaps Nicole Belle over at Crooks and Liars summed it up the best where she wrote, "we must, must, MUST ratchet down the rhetoric. Democracy doesn't function in a climate of threats and violence." This is a lesson that Glenn Beck must learn in short order, or there are going to be more Byron Williams. Next time the Beck-inspired assailant may not be stopped before another tragedy unfolds. Update, 1/22/2011: Glenn Beck in all seriousness told Vieirra to "ask the Simpsons." This lame attempt to deflect appropriate criticism was just stupid! Ask a cartoon family? Maybe Homer Simpson will end up having Glenn Beck help him operate the nuclear power plant during an episode! Less likely, perhaps Glenn Beck will start taking responsibility for the violent rhetoric that he's been spouting for the last two years. On The Blaze, this is rationalized as: "The website Patterico’s Pontifications went in depth to look at the clip and its full context. What it found can only be considered depressing for the liberals and progressives trying to incite anti-Beck anger." This is not an attempt to incite anti-Beck anger. This is an attempt to demonstrate to readers that Beck is not responsible enough to have a television show. People have the right to free speech. No where in the Constitution does it say that people have the right to be on television inciting violence. Get involved. Please, click on this logo and sign the petition to have Beck fired. It may not do any good, but it can't hurt. "Ms. Piven, Mr. Beck says, is responsible for a plan to “intentionally collapse our economic system.” ... This week, Mr. Beck suggested on television that she was an enemy of the Constitution." "Anonymous visitors to his Web site have called for her death, and some, she said, have contacted her directly via e-mail." "One such threat, published as an anonymous comment on The Blaze, read, “Somebody tell Frances I have 5000 roundas ready and I’ll give My life to take Our freedom back.” (The spelling and capitalizing have not been changed.)" Glenn Beck's should be taken off the air immediately! I'm so sick of hearing about psychopath Glenn Beck calling for gunslingers to kill people. He is a public menace. Prosecutor Vincent Bulgiosi put Charles Manson in prison for life for 7 murders even though he killed no one; his groupies knew what he expected of them. Why can't Glenn Beck be prosecuted? Someone needs to put on their man pants and stop the Faux News Psychopath. ebay Fraud Alert: I don't think it can happen like it did with Manson until someone is killed. I stated yesterday that the DOJ needs to tell Murdoch that he'll be personally held responsible if Beck inspires murder again (successful, not attempted). Then Beck would be shown the door. Give me a show, any show, and we'll look at it together, provided it is on his website. It is frankly incredible to me how viciously you can attack Beck while pretending you are the innocent ones. If you issued a call for non-violence, I missed it. Let's go, ace. Find a show. You provide the criticism, I'll provide the context you IGNORED. Let me ask this, as well: Glenn Beck has 15 death threats against him most of the time. How much responsibility would you be willing to assume for encouraging people to call him a psychopath, and prospective accessory to murder? Would your characterization of him as encouraging violence not apply to you, if somebody shot him? I'll look at the open invitation later on, but you think I'm vicious. You obviously have not been listening to Glenn Beck for the last two years. He's easily the most vicious person on television as the quotes above illustrate. You just don't seem to be able to hear what he says when he talks about shooting radicals in the head. Glenn Beck is trying to incite civil war. "Let me ask this, as well: Glenn Beck has 15 death threats against him most of the time." That's what I've seen him claim, but after fact-checking Beck for the last 7 months I've come to recognize that he's a habitual liar. I don't believe anything he says without proof, and no one else -- including you -- should either. I did reply to the "Moderates" blog. Moderates are not real keen on self-described extremists like Beck. Think he's not self-described that way? Then you're not paying attention to him. 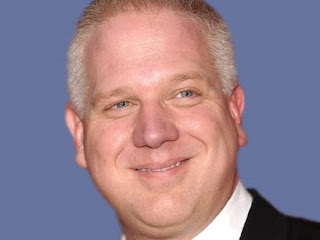 See: http://www.sharethisurlaboutglennbeck.com/2010/07/beck-claims-to-be-radical-revolutionary.html and listen to him in his own words. Actually, NO! It would not apply to Victor at all! This is a no-brainer. If somebody such as Glenn Beck is actually inspiring people such as Byron Williams to commit acts of murder... does it not make sense to point this out to the public? Or should we all just sit back and forget about Glenn Beck until somebody actually dies? It is inescapably obvious that Victor is pointing this information out so that NOBODY ends up dead. And Beck is a liar. I have a copy of Glenn Beck's book "Arguing With Idiots." When I began reading it I starting fact-checking some of the content and I was absolutely astounded with how much information is just flat out wrong! Mr. Beck doesn't just twist the truth... he lies! If I had fact checked his info and found it to be truthful, then hell yeah, I would keep listening to him. But this is just not the case. It became apparent to me very quickly that Glenn has other motives in mind other than looking out for the little guy. In this political climate with an economy on the brink of collapse, people are obviously nervous and scared. People are desperately looking for somebody to turn to for answers. But unfortunately Mr. Beck is not using his podium to help those who are searching for answers. He is using it for his own personal gain. Just look at how big his career has become. Best-selling books, a radio show, a TV show, he is now the leader of a "movement" (although not officially). He is just a self-absorbed monster in my opinion who is using the American people to perpetuate his career and to make certain that this disgusting form of corporate-run government continues to screw people over for centuries to come. The fact of the matter is that our politicians ARE bought and sold. Just look at how much Goldman Sachs is giving some of the longest-serving senators and you will see who really owns our government. Glenn Beck is there to ensure this corrupt system continues to screw over the average hard-working American... end of story. What is with the Mountain Goat's "yahbuts" ? We're not talking about anybody else, we are talking about Glenn Beck.